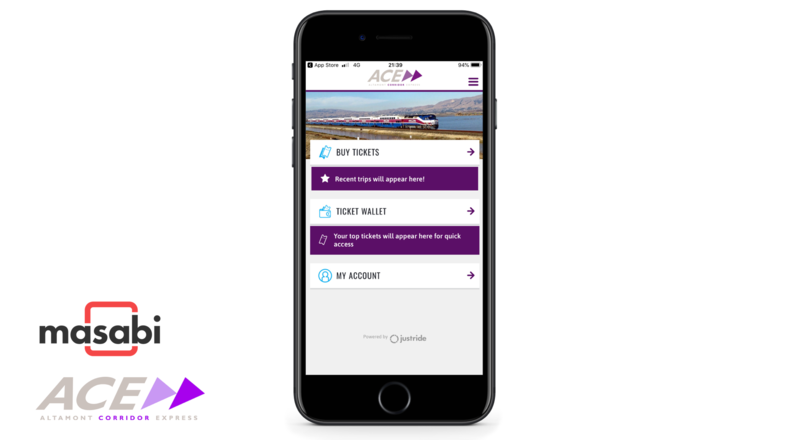 Stockton, CA and New York - March 28 2019 – Masabi, the company bringing Software-as-a-Service (SaaS) ticketing and payments to public transport, today announced that passengers can now purchase tickets to ride ACE via a mobile app! Starting April 1st, all ticket types throughout the corridor, including one-way, single round-trip, 20-ride tickets, and monthly passes, will be available. The app is available for download from Google Play and the App Store.